Hi there! Just wanted to share with you this floral card I made with Lawn Fawn stamps and papers. 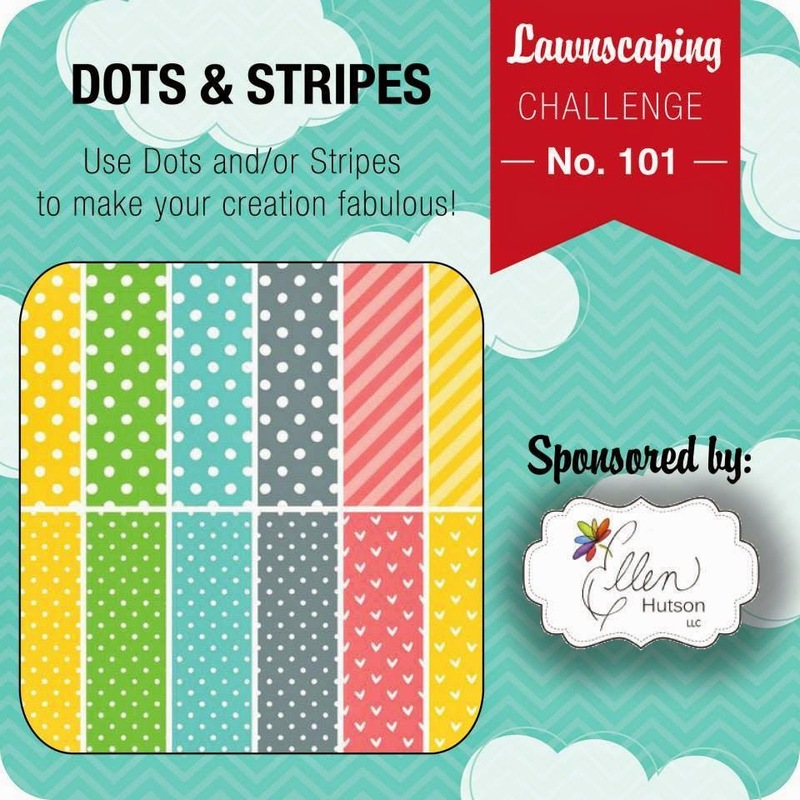 I'm also playing along with the new Lawnscaping challenge called "Dots and Stripes". ¡Hola! Hoy quiero enseñaros esta tarjeta floral que he hecho con sellos y papeles de Lawn Fawn. Además aprovecho para participar en el nuevo reto de Lawnscaping: "Dots and Stripes". If you want to know how I made this card, watch the video tutorial I have left below for you (or watch it at my Youtube channel). Si queréis saber cómo he hecho esta tarjeta, podéis ver el vídeo tutorial que he dejado debajo para vosotros (también podéis verlo en mi canal de Youtube). Very pretty card! I love all the details and embellishments. Thanks for playing the Lawnscaping Challenge! Muy bonita y muy primaveral. Me gusta mucho. No sé tú, pero yo ya estoy en "modo primavera on", qué ganas de ver flores y sol. Un besito!